Following a multi-million pound refit, the Alexander von Humboldt has reemerged as Voyager. Named at an official ceremony by the ship’s godmother, history and wildlife presenter Miranda Krestovnikoff, Voyager offers a choice of 270 cabins (87 per cent of which are outside and 30 of which have balconies), open seating dining in two restaurants, plus an intimate pre-bookable speciality restaurant, The Explorer Club. Key new additions to the 540-passenger vessel include the introduction of an ‘explorer theme’ to the entire ship, reinforcing the destination-led offering that the brand is known for, and the new Scott’s Lounge – a classic piano bar serving cocktails into the evening. A new ‘Lookout Lounge’ also provides panoramic views from the front of the ship and a terrace with all-weather awning has been added to the Veranda restaurant for al fresco dining. “The enhanced facilities on board offer spacious public rooms, balcony cabins and a choice of open seating restaurants, enabling our customers to really experience discovery cruising at its best,” says Voyages of Discovery MD Alan Murray. After Voyager’s first two cruises sailing in the Caribbean, it will embark on a series of itineraries in Central and South America, heading to the Amazon early this year. From April the ship will be based in its home port of Portsmouth. Prices for a nine-day Celtic Treasures cruise start from £1,099 per person. 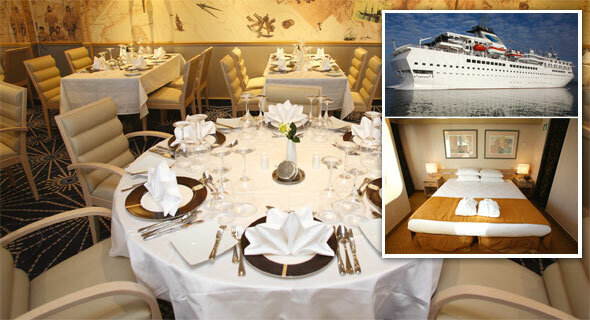 The price includes all relevant transfers, on board gratuities and service charges, meals and entertainment on board and a comprehensive programme of guest speakers.